"Chicks dig the car", quipped caped chubster Val Kilmer in Batman Forever (a movie so bad the title was a threat), and while the Dark Knight's iconic jalopy was largely absent from Rocksteady's first two magnum opuses, the trilogy swansong at times seems like a Batmobile simulator. 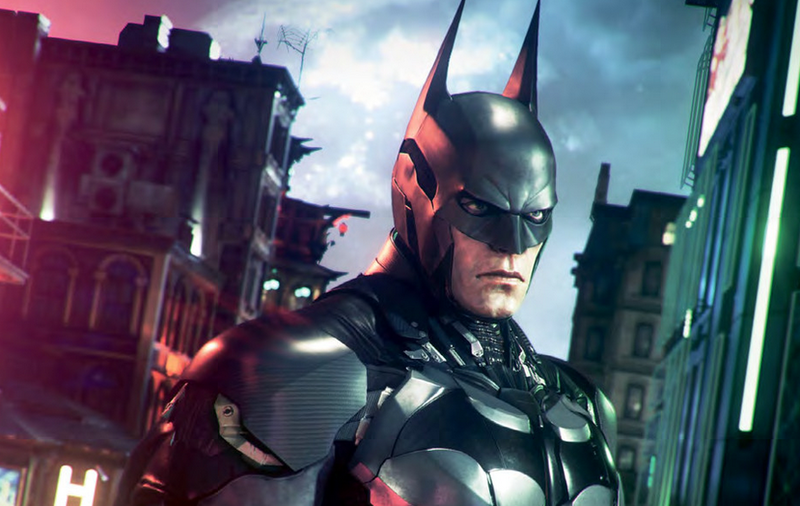 The Arkham series revolutionised virtual superheroics, doing for the Caped Crusader's games what Christopher Nolan managed on the big screen. Right from the off, 2009's Arkham Asylum, everything felt perfect, from its character redesigns and engaging story to the stellar vocal cords pilfered from the animated series. But what really made Arkham a classic was that feeling of actually "being" the Batman, strutting round town like a bowl of biceps, swooping through gothic architecture and slapping goons about. 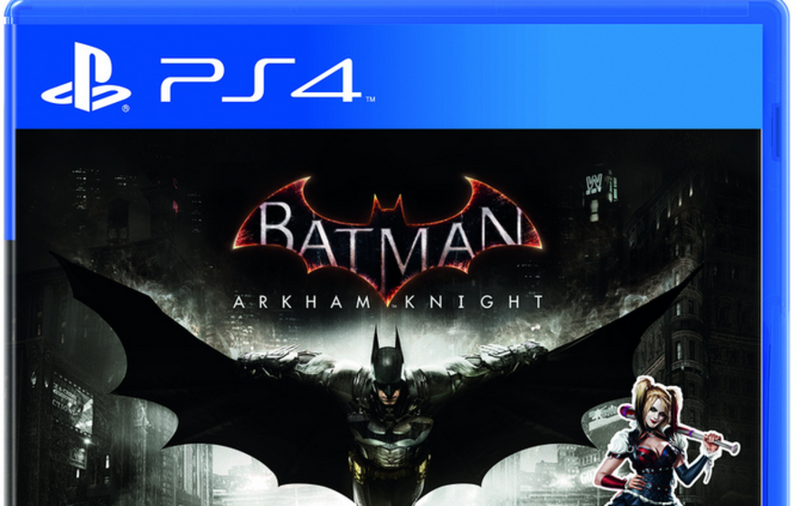 Ending the studio's trilogy on a high, and with next-gen grunt pushing the polygons, Batman once again must save Gotham from a who's who of his worst enemies, including the titular Arkham Knight. 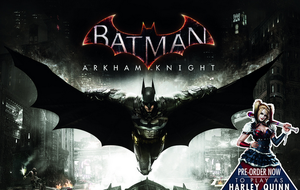 Set in a vast, rain-soaked Gotham (its three bridge-linked islands clocking in at five times the acreage of Arkham City), the latest is another long, dark knight of the cowl offering a mix of stealth, wham-bam combat and canny detective work as our hero, like some beefy Columbo in rubber, examines virtual crime scene reconstructions. Knight also features our hero's most wonderful toys yet, with an array of iconic gadgets opening up multiple roads to success. The impossibly muscular combat has been beefed up, with predatory and multiple stealth takedowns and sidekick-aided team bust-ups. Scurrying through sewers and grates like a handsome hobo, you'll unearth hundreds of Riddler trophies to solve while a rogues' gallery of DC lore is plumbed like a compacted u-bend for all its worth. In fact, all of the elements that made the first two titles such classics are present, yet the solitary nimbleness of our hero has been diluted with protracted driving sequences, four-wheeled combat and puzzles that constantly shoe-horn in the need for wheels. Of course, the Batmobile is a wonderful toy but the game ODs on your steel-plated sidekick. Gliding and grappling is still the coolest way to get around Gotham, but at times this feels more like Knight Rider. Yet even this rare mis-step can't tarnish what's been achieved with Arkham Knight and fans should have no qualms sliding down the Batpole one more time. Consoles are the way to go, though – the ridiculously buggy PC version has been yanked from sale. So a fitting finale for Bruce Wayne's fetishy alter-ego. If only the Batmobile, as the Christmas carol goes, had lost its wheel.